The Pennsylvania Report in mid-August managed to shock even us journalists who had covered the Roman Catholic Church scandal of child sexual abuse and its cover-up since 2002. The hideous details, the staggering scale, the neat and accurate description of the hierarchy’s “playbook for concealing the truth” were there for all to see. And they served to usher in a spate of further revelations, the latest, as of this writing, being that over half of the bishops in the Netherlands were involved in a cover up or of abuse themselves. The scandal of child sexual abuse within the Roman Catholic Church and the heinous cover up by its leaders has shaken the church to its foundations. I feel as though I’ve said those words before, indeed on multiple occasions since 2002, when the scandal first erupted in the Boston Archdiocese. And now other phrases I used on air, such as “worst crisis for the church since the Reformation,” sound almost quaint. It’s hard to find the words to capture the catastrophic situation facing the church leadership whose authority has been all but destroyed at its own hands. There may be many safeguards in place to protect the vulnerable these days, but the leadership hasn’t scratched the surface of the cover-up. And for many survivors I interviewed over the years, it was the cover-up – the second crime – that was almost worse than the original one. The trampling of trust and squandering of moral authority is now almost complete. And how can the church recover when the very men who refused to see and take action are now tasked with cleaning up their own acts? Or failures to act? Pope Francis may have done a better job than his predecessors of facing and articulating the enormity of the sins and crimes against vulnerable children. But yet again he’s undermined his own efforts (as he did with his initial response to the Chilean Church crisis when he appeared to side with bishops accused of cover up) with a homily that makes the secular world wince. Even if the pope meant something deep and subtle and spiritual (he called on the bishops to pray), it is surely not the time to suggest that it is a dark power at work targeting the poor bishops who are the victims. Yet again such an implication reveals a tone deafness at the top, particularly when so many inside and outside the Church see the exposures as a good thing – a sign that the light is getting in and exposing the darkness, not the other way around. All of this takes me back to my first foreign trip as Religious Affairs Reporter for the BBC World Service. In the spring of 1998, I went to Rome and interviewed a group of Catholic nuns. In my naivete I thought they would be humble, self-effacing types, deferring to the authority of the male clerics. I was wrong. They all laughed. But they meant it. And now, in the #MeToo era it seems so prescient. And perhaps not so unrealistic. Women and, as the Pennsylvania report suggested, lay people may need to take the lead and carry out a root and branch reform. 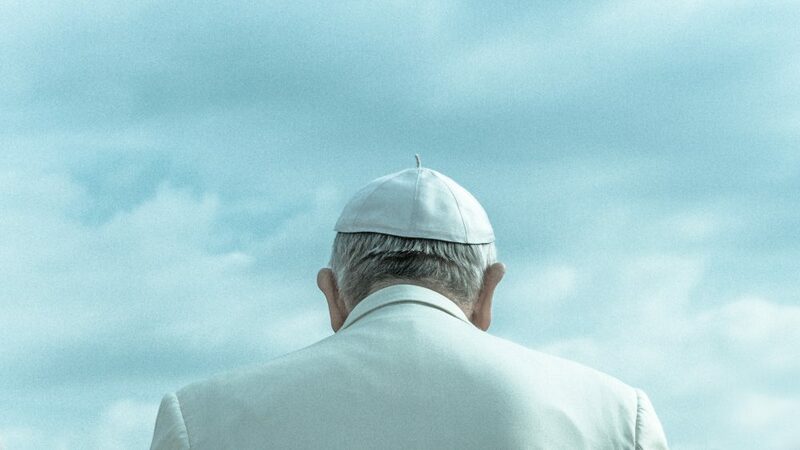 And perhaps an end to an all-male hierarchy – which Pope John Paul II suggested is infallible doctrine and Pope Francis appeared to confirm – may finally be on the horizon?